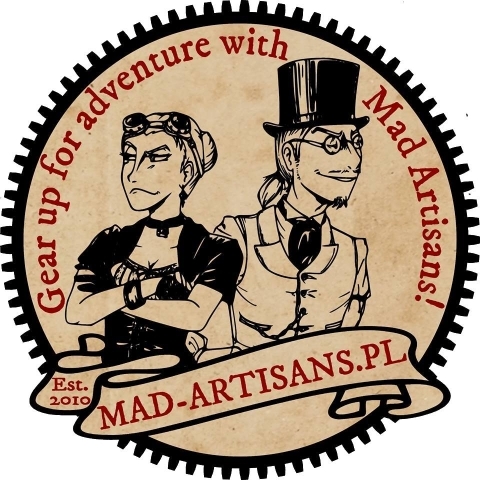 Mad-Artisans.pl is a two-person workshop creating original alternative-styled jewellery and accessories. We are keen on upcycling, steampunk, neo-victorian and other styles. Come and check us out. Their stand will appear at the Golden Afternoon for the fourth time. All fans of non-typical, extraordinary jewellery, that'll want to equip their costumes with additional accessories and adornemnts should browse through their assortment!